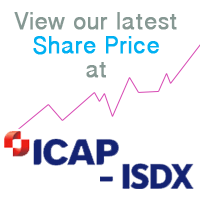 The results of the General Meeting for Papa Entertainment Plc (ISDX:PAPP) are now available on the ISDX. Mission Recordings has recently finished the music and video production of their young artist Cameron Whiley. The video ‘Reh Reh Reh’ is a tongue in cheek video which is bound to raise a smile with crazy antics from some fancy dressed clad dancers and even a cameo appearance from John Altman. Mission are looking for a release date around April 2013, and have a remix package including Sunship, Ruff Loaderz and Q-Block. Take a look at the video below. Papa Entertainment Plc today announced its unaudited results for the nine months to 30 September 2012.